It's instinctive to want to complain about the Emmys, especially since the telecast is being general acknowledged as one of the worst broadcasts in recent award show history. And the Emmy show was, indeed, uncontestably awful, horribly paced, bloated to the extreme and full of easily mockable moments. But the awards themselves? Well, if you happen to believe that "Mad Men" was probably last year's best television drama and that "30 Rock" was among the top three TV comedies, how can you possibly complain? Or how much? I'm all for elitism. Don't get me wrong. It's my bread-and-butter, my MO, my metier. But the elitism evidenced by this year's Emmys is a double-edged sword. On one hand, it is absolutely the TV Academy's right and, heck, responsibility to say "These are the best shows out there, regardless of whether they're watched by 25 million people or 600,000." I have no problems with the Academy standing up and announcing, "If you want a list of the most popular shows on TV, watch the People's Choice awards. We're different and better." That being said, the Emmys then need to acknowledge that elitism isn't really all that popular and that it has the potential to breed public apathy when taken to the sort of extreme Sunday's awards went to. As stupid as it was for the Emmy telecast to make the new reality host category more important than best actor or actress in a drama series, more people watch Jeff Probst each week on "Survivor" than have ever seen episodes of "Damages," "Mad Men," "Breaking Bad," "30 Rock," "John Adams," "Recount," "Cranford" or "Entourage" put together. That was a moment for any mainstream viewers still watching to go, "Oh. That's a show I'm actually aware of." But that came after nearly three hours during which "The Amazing Race" won for reality series, "Samantha Who?" got a supporting win for Jean Smart and "House" won for directing. Those would have been the only even marginally mainstream shows getting recognition for the majority of the show and even they got recognition only in marginal ways. Greg Yaitanes is a very fine TV director and very deserving of this sort of breakout honor, but outside of the Yaitanes family he isn't a household name. The result of this is going to be inevitably decreasing TV ratings. But, perhaps more dangerously, the fewer people who watch and engage with the Emmys, the less retroactive influence the awards get to have. It's just a fact of life. Winning Emmys did absolutely nothing to increase the viewership of "Arrested Development" or "The Office" or, previously, "30 Rock." And winning a second consecutive Emmy for outstanding comedy series isn't going to suddenly make "30 Rock" into a hit now. Emmys wouldn't have been any sort of salvation for "The Wire" and they wouldn't have keeping Landry from killing on "Friday Night Lights." So "Mad Men" won outstanding drama. Whee! What really happened is that it won two awards in the last half-hour of a show that nobody was paying attention to anymore. It deserved its awards (and probably more), but it also deserved the hundreds of rave reviews written by the nation's TV critics, as well as the TCA Award for program of the year. It also deserved the $25 million that AMC poured into promoting it. But at the end of the day, if you thought about how many people watch "Do Not Disturb" than "Mad Men," you'd probably think about slitting your wrists. So you just have to accept that the Emmys are a useless promotional tool. Utterly without an iota of value. So, under those circumstances, the best the TV Academy can do is put on a good show and give the awards to things *I* think deserve 'em. The obviously failed on the former. Well, I loved Barry Sonnenfeld winning for comedy series directing for the "Pushing Daisies" "Pie-lette." Was it completely fair that he won? Ha! One guy in the category was working on an hour-long show with two to three to four times the budget of the others and whimsical possibilities the others lacked. But I loved that there "Pie-lette," which was many times better (and infinitely more twee) than any pilot the networks got around to making for this fall. 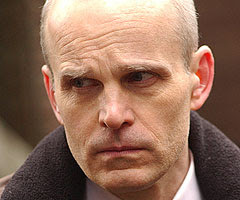 I loved Zeljko Ivanek's win for "Damages." For a decade, he's been one of the most valuable character actors going, playing a half-dozen different nationalities and playing roles of all manner of moral bankruptcy. He's done it on the big and small screen and on stage. His win is just what's supposed to happen if you're a talented actor who doesn't happen to look like Eddie Cibrian or Benjamin Bratt: You work and you work and you work and you work and finally, when the time is right, somebody pats you on the shoulder and gives you something shiny as a reward. Winning an Emmy won't suddenly make Zeljko Ivanek a star, but it may cause 50 additional people to learn his name and that's nice. I was pleased to see "The Colbert Report" win for writing for a variety, music or comedy program. "The Daily Show" may have kept its stranglehold on the series category, but "The Colbert Report" has been the generally funnier show for the past couple years. There's always, I guess, been the perception that "The Colbert Report" was only about Stephen Colbert, but this was a nice recognition for the rest of the gang. It's a pity that Colbert and Stewart's prune bit was so bad. I was relieved that the Emmy voters didn't punish Alec Baldwin and just gave him an Emmy for generally being one of the most effective comic actors on TV. Even if he hadn't had the shrink scene from last year's "30 Rock" premiere, he'd have deserved to win just on principle, for a body of work. Similarly, one of these days Hugh Laurie and Steve Carell are really going to have to win. This wasn't a mandatory year for either of them, but eventually it will be. And, as I've said before, I'm totally in favor of the series wins for "30 Rock" and "Mad Men." 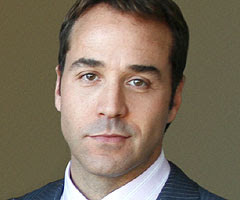 Jeremy Piven was completely deserving of his first Emmy for "Entourage." That he's now up to three can only be a sign of laziness on the part of the voters. Yes, we know. He's *just* like all of your agents. But he's been doing the same thing without variation for two or three seasons now. When oh when will somebody just give Neil Patrick Harris his flippin' Emmy? Speaking of laziness, does anybody remember who won on "The Amazing Race" last season? I'm not sure I do. How about any specifically memorable moments? The funny thing is that "Survivor" actually put together a pair of really great seasons last year, seasons full of blindsides and shocks, but nobody notices. As it stands, though, I know that I enjoy "Top Chef" a good deal more than "The Amazing Race" these days. And that many other people like "Project Runway" and that stupid thing where the celebrities dance. Giving another show a chance wouldn't be a disgrace, Emmy voters. I actually don't hate Bryan Cranston's win at all. I just would have given outstanding actor in a drama series to Jon Hamm instead. Cranston's role on "Breaking Bad" is bigger and showier and Emmy voters routinely and reliably hosed Cranston on "Malcolm in the Middle." But I'd have just gone with Hamm. OK. I've got a lot of Monday TV to watch now. TK AND RACHEL WON. ELITIST. Good call on both points. Have the Emmy's ever mattered, qua broadcast show, instead of as just a thing studio PR can use when marketing a show. "Emmy Award-winnng..." or "The most honored show by Emmy..." &c, &c. Do people have to actually watch the show to know or appreciate that the voting members of ATAS (elite, dunno) voted recognize recognition to this or that? And, as you say, of late Emmy nods seems to have little to no effect on how a show will do in the ratings. It's very simple: they need to devote more of the awards show to clips of the past year in television, so that mainstream viewers have some sense as to why these shows were nominated, and why they might want to watch them in the future. 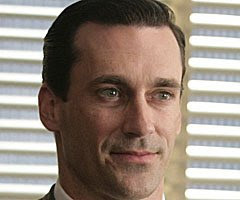 Seriously: if you knew nothng about Mad Men before the awards started, what did you learn during those three hours?